$77.025 million on 3452 screens. 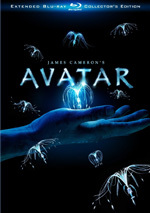 Almost 12 years to the day after the release of Titanic, James Cameron finally returned to the world of feature films with 2009’s Avatar. And he came back with a bang. Like Titanic, Avatar arrived with an enormous budget and many predictions of doom and failure. Like Titanic, Avatar made those prognosticators look foolish. The film became an immediate smash and ended up with a stunning box office total of $760 million. This means Cameron directed the biggest movie of the 1990s, the biggest movie of the 2000s, and if we don’t adjust for inflation, the two highest grossing flicks of all-time. Wow. What will he do for an encore, cure cancer while he scores 102 points in an NBA game? Probably not, but it’ll be interesting to see where Cameron goes from here. If anything, its success sets the bar even higher for the director, as he’ll have to try to top two enormous hits with his next flick. Maybe he should just say “goodnight, folks” and bow out now. Set in the year 2154, humans invade the planet Pandora to mine a mineral called Unobtanium. Two schools of thought exist. The military wants to simply bomb the Na’vi natives and take the Unobtanium, whereas scientists prefer a gentler method. As part of that, volunteers learn how to integrate with the Na’vi via “avatars”. These genetically engineered creatures look just like Na’vi but they incorporate characteristics of their human counterparts. The humans enter a tank that allows them to control their Na’vi avatars from a remote location; this means they can blend with Na’vi society and try to find a peaceful way to gain access to the Unobtanium. The problem? The other volunteers went through intensive training to understand Na’vi society, while Jake just has to wing it. Before long, he finds himself deeply involved in the Na’vi world, and this makes him the best “human” ambassador, especially when Jake develops a very close connection with Neytiri (Zoë Saldana). We follow Jake’s interactions with her and the others as well as other developments related to the human invasion plan. And I left the theater distinctly underwhelmed. I can’t say I disliked Avatar, but I can’t say I particularly enjoyed it, either. Granted, a little motion sickness probably affected my pleasure; the combination of 3D and camera movement made me a bit googly at times. When I left the theater, I figured that my lack of enthusiasm for Avatar may’ve stemmed from my expectations for it. Actually, I didn’t look forward to the movie with great anticipation; to be honest, the previews I saw didn’t make it appear especially interesting. So even though Avatar itself didn’t create much excitement in me, the Cameron name was enough to ensure that I’d expect Great Things from it. When those feelings didn’t emerge, I was disappointed but not surprised, and I knew that my opinion was a work in progress. Heck, I didn’t think much of Aliens when I first saw it, and that’s been my favorite movie for more than two decades. Did my second screening of Avatar - completed for this review – elicit a different reaction from me? No, not really. On the positive side, I thought the movie maintained my attention well during the repeat viewing. Whatever negatives I’ll throw at Avatar - and I will do that – I can’t criticize its pacing and flow. Though it runs a potentially draggy 162 minutes – or more, if you select one of this disc’s extended cuts - the flick goes by quickly and never feels long. It keeps us with it and involved in the story. Well, kind of. Perhaps my biggest problem with Avatar stems from my near-total inability to connect with its hero characters. By “hero characters”, I mean the Na’vi, as they’re intended to be the positive role models. Yeah, Jake is the film’s protagonist, but he’s human only in theory. The film depicts his metaphorical – and eventually literal – transition from human to Na’vi form, so we really don’t think of him as a man. And that’s a concern, as I just can’t buy into the Na’vi, partially – and maybe mainly – because they’re just animated characters. I can easily invest in cartoons when they show up in totally animated films ala Up or whatever other flick you like. I can also get involved in artificial characters in live-action movies such as ET the Extra-Terrestrial. Damn, I still cry every time that stupid puppet dies! So why don’t I give a hoot about the Na’vi? Some of it comes from the stale story and thin characters – more about those later – but a lot of it stems from the movie’s combination of live-action and CG animation. Again, in an all animated world, I accept the “reality” of the characters, and in a live-action environment populated by existing creations like ET or Yoda, I can believe those participants. Sure, I know ET and Yoda are puppets, but at least they’re objects in a real world that interact with actual people. In technical terms, the Na’vi and avatars looked good and occasionally were quite believable – but not always, and not consistently enough to allow me to suspend disbelief. CG characters just aren’t “there” yet. They’ve made big strides, and Avatar definitely gives them another push closer to approximating reality; there are times the Na’vi do feel real. But those occasions don’t occur frequently enough to get me to accept them. Their faces look too plastic and their movements are too abrupt – they come close to reality, but they just don’t get there. Again, in an animated movie that doesn’t attempt to be “photo-real”, I’m fine with that, but when a flick wants us to accept cartoons among live-action characters, it’s a problem. Which comes back to the film’s problems with narrative and characters. Cameron’s script has received tons of criticism, and the weak story is the likely reason Avatar didn’t win Best Picture over the mediocre Hurt Locker. 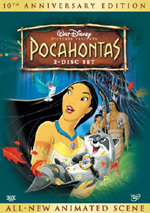 Essentially, Avatar offers a combination of Disney’s Pocahontas and Dances with Wolves. You get your standard Awful White Men along with your usual Noble Indigenous People in Touch with Nature and the protagonist who goes native. We’ve seen it all before, and we’ve seen it in a manner at least as dramatic and emotional. Had Cameron delivered this stale narrative without the standard helping of one-dimensional characterizations/themes, I would’ve been much happier with Avatar. Unfortunately, like Wolves and Pocahontas, Avatar mostly serves as a commentary on how terrible and evil white men are – and how perfect and wonderful the indigenous folks are. No, I’m not defending the aggressive antagonists in Avatar or those other movies, but I will say I’m really sick of this PC worldview. It paints such a one-sided, flat picture that it gets old very quickly. None of these criticisms should be viewed as an indication that Avatar is a bad film, for it’s not. As I mentioned, it’s consistently entertaining, and it does provide astonishing production values; Avatar gives CGI a total bump to the next level. Unfortunately, the movie simply lacks much heart. Perhaps it seems illogical that I loved Titanic and was left cold by Avatar since the characters in the former weren’t much more three-dimensional than these and the story was equally trite. Heck, we even knew how the tale would end! For whatever reason, though, I totally invested in the characters/emotions of Titanic and never dug into those sides of Avatar. Maybe it’s because the former boasted the advantage of its historical impact, or maybe it’s just because I can better relate to humans than I can big blue cat people. All I know is that Avatar takes us on a pretty ride that has some good adventure along the way, but it lacks the emotional punch to make it truly satisfying. Much of the movie featured computer animation, so the experience often was no different than watching something from Pixar. This meant that the full CG scenes were just as impressive as the best animated transfers. Sharpness was immaculate. Fine detail could be astonishing, as even the widest shots maintained excellent definition. In terms of palette, the movie favored a blue-green tint that worked for the nature theme. Other hues cropped up as well, though, and these appeared quite full and lively. Blacks appeared deep and dense, while shadows showed nice delineation. Across the board, this was an absolutely amazing visual presentation. The DTS-HD MA 5.1 soundtrack of Avatar impressed. This was an immersive mix that used all the channels to good effect, especially in the film’s second half. The first 80 minutes or so tended toward more character/story information, so those segments lacked a ton of big set pieces. Nonetheless, some good action moments occurred – especially when Jake and the others encountered various Pandora wildlife – and the film maintained a fine sense of environment. The mix really engulfed us in the alien setting in a natural, smooth way. If you want to show off your HT, though, you’ll have to head to the second half of the movie, for that’s where most of the action resides. The entire final reel offered essentially demo material, as it boasted almost non-stop mayhem. With gunfire, flying vehicles/creatures, explosions and attacks, these segments kicked the track into high gear and created a vivid, impressive soundscape. Audio quality always excelled. Speech was natural and concise, with no edginess or other concerns. Though the score occasionally threatened to get buried beneath the din, the music nonetheless remained clear and full. Effects offered the best aspects of the track, as they were consistently expansive and dynamic. Across the board, this was a terrific mix. One unusual sonic footnote: you can watch the theatrical or SE cuts with a “Family Friendly Audio Track”. This claims to remove all “objectionable language”. Oh, someone rewrote Cameron’s clunky dialogue? I kid, I kid. Avatar doesn’t have much “objectionable” language anyway – it’s not a Richard Pryor routine – but I guess this makes it acceptable for folks who want to avoid a little profanity. While the standard Blu-ray release of Avatar came totally devoid of extras, this “Extended Collector’s Edition” rectifies that situation across its three discs. Expect most of the goodies on Discs Two and Three. The first platter simply contains various versions of the movie. We get the theatrical cut (2:41:41), the special edition (2:50:34) that ran theatrically in August 2010, and a Collector’s Edition cut (2:58:09) that shows up here for the first time. I’ll list these and mark the CE exclusives with red print; the one SE-only piece comes with green writing. “Earth” (10:15): We meet Jake on Earth, see him get into a bar fight, and learn of his brother’s death. “Herd” (0:42): Jake sees Sturmbeest for the first time. “The Schoolhouse” (1:51): Grace shows Jake her old schoolhouse, and he sees hints of tragedy. “Purple Moss” (0:26): Jake romps through some light-up moss. “I Don’t Even Know Your Name” (1:17): Jake meets the tribe and asks Neytiri her name. “Sylwanin” (0:48): Jake learns of Neytiri’s dead sister. “What Does Hold Them Up?” (0:47): Jake explains what holds up the floating mountains. ”Extended Montage” (1:28): Jake and Grace integrate with the Na’vi. “Alternate Montage with Grace’s Story” (5:39): The same as “Extended Montage” along with Grace’s discussion of what happened at the schoolhouse – and what killed Neytiri’s sister. “Neytiri’s Flyby” (0:36): Neytiri zooms around Jake and the others. “Sturmbeest Hunt” (1:55): Jake and the natives hunt Sturmbeest. “Extended Love Scene” (1:33): Jake and Neytiri go tail-to-tail. “Drums of War” (1:25): The Na’vi attack a human compound. “They Bulldozed a Sacred Site” (0:44): Grace and Jake discuss the nature of the human assault. “Tsu’tey’s Fall” (0:46): We get a little more of the warrior’s fight. “Sturmbeest Attack” (0:48): The Sturmbeest trample human warriors. “Extended Thanator Fight” (0:18): We see a bit more of Neytiri/Thanator vs. Colonel Quaritch. “The Last Shadow” (2:41): We watch an extended death scene. First things first: the “Extended Love Scene” provides nothing salacious. If you expected the movie to become “NC-17” rated, you’ll feel disappointed; Jake and Neytiri connect in a pretty tame manner. Only two genuinely significant additions appear here. “Earth” provides the most intriguing piece, if just because we get to see what the planet is supposed to look like 150 years from now. Apparently people still wear Harley Davidson T-shirts and watch TVs that look just like modern widescreen sets, though they have hundreds of thousands of channels. “Earth” is certainly interesting as a curiosity, but it doesn’t add anything; instead, it slows the movie in its early stages, as we really want to get to Pandora. We learn enough of Jake’s backstory along the way to make this sequence unnecessary. “Schoolhouse”, “Sylwanin” and “Story” have more value, mainly because they do a lot to flesh out Grace’s character. We get a much better understanding for her past and experiences with those scenes in the film. I understand why Cameron omitted them, as they’re not crucial to the overall plot, but they’re useful. Otherwise, the additions tend to be interesting but superfluous. As you can tell by the running times, most tend to be minor additions, so they don’t contribute much to the flick. I’m sure fans will be happy to see them, but they aren’t particularly memorable. With that we head to Disc Two. First we find a collection of 28 Deleted Scenes. 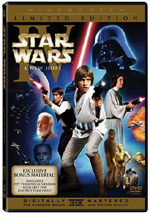 Touted as “never before seen”, these aren’t the same cut pieces on Disc One; they’re unique and often quite unfinished, as they come in various stages of completion. A three-minute, 12-second “Viewer’s Guide” offers a little tutorial to understand the different levels of completion involved. All together, the deleted scenes run a total of one hour, seven minutes and 51 seconds. As one might expect from cut sequences, supporting characters get a lot of the extra development. Norm and Trudy benefit the most, and Selfridge also manages to come across as more rounded. Not that it’s all about the secondary roles. Jake bonds with Tsu’tey at a celebration and also goes through a vision quest to prove himself. We see more fallout from the Jake/Neytiri relationship and other issues. While fans will clearly enjoy these, it’d be hard to pin down any that should’ve made the final cut. After all, the CE version goes for almost three hours, so additional material would’ve threatened the pacing even more. Still, it’s nice to see extra character information; nothing stellar appears, but a lot of interesting moments appear. Next we get a four-part documentary entitled Capturing Avatar. 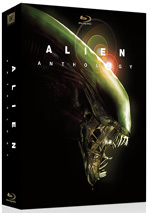 In this one-hour, 38-minute, 26-second program, we hear from writer/director James Cameron, producer Jon Landau, supervising virtual art director Yuri Bartoli, lead creature designer Neville Page, key character designer Christopher Swift, lead character sculptor Jordu Schell, Stan Winston Studio’s Stan Winston, Stan Winston Studios character designer supervisor John Rosengrant, virtual production conceiver Rob Legato, virtual production supervisor Glenn Derry, 1st AD Josh McLaglen, Giant Studios performance capture supervisor Matthew Madden, production designers Robert Stromberg and Rick Carter, concern illustrator Ryan Church, concept art director Dylan Cole, botany consultant Dr. Jodie S. Holt, senior visual effects supervisor Joe Letteri, costume and specialty props conceptual designer Richard Taylor, costume designers Mayes C. Rubeo, John Harding and Deborah L. Scott, casting director Margery Simkin, Na’vi language creator Paul Frommer, key character designer Joseph C. Pepe, Na’vi movement coach Terry Notary, Na’vi dance choreographer Lula Washington, stunt coordinator Garrett Warren, dialect coach Carla Meyer, animation supervisor Richard Baneham, virtual environment supervisor Rob Powers, editors Stephen Rivkin and John Refoua, concept art director Ben Procter, concept illustrator James Clyne, vehicle designer Tyruben Ellingson, lead supervising art director Kim Sinclair, construction supervisor Neil Kirkland, stunt coordinator Allan Poppleton, LA unit director of photography Vince Pace, director of photography Mauro Fiore, special effects coordinator Steve Ingram, digital effects supervisor Nolan Murtha, animation supervisor Andrew R. Jones, Weta visual effects supervisors Eric Saindon and Guy Williams, facial team lead Jeff Unay, VFX supervisor Erik Winquist, composer James Horner, Lightstorm VP Production Services and Technology Geoff Burdick, and actors Sam Worthington, Zoë Saldana, Laz Alonso, Joel David Moore, Sigourney Weaver, Wes Studi, CCH Pounder, Matt Gerald, Giovanni Ribisi, Stephen Lang, Michelle Rodriguez, and Dileep Rao. Across “Capturing”, we learn about the film’s origins/inspirations and development, character/creature/visual design, shooting performance capture and virtual sets, creating an alien planet/environment, and costumes. We get into cast, training and performances, the Na’vi language and dialogue, stunts, prop and set construction, and cinematography. Finally, the show investigates the use of 3D, shooting the film, animation, editing, post-production effects, preview screenings, score, wrapping up the flick and its release. Expect a very nice nuts and bolts examination of Avatar here. We find a wide variety of subjects covered here, and “Capturing” does so in a satisfying manner, though it lacks many a discouraging word. Cameron’s known for difficult shoots, and I have to imagine tension occurred during this flick’s creation, but we don’t hear about that. Given that the vast majority of DVD/Blu-ray extras tend to stay on the happy side of the street, is it fair to criticize “Capturing” for the same pattern? Perhaps not, but the history of programs attached to other Cameron films sets up an expectation for bluntness, and we don’t get that tone here. Nonetheless, that’s a small nitpick, as the level of information provided in “Capturing” makes it worthwhile and informative. A Message from Pandora goes for 20 minutes, 11 seconds, and offers remarks from Cameron as he discusses environmental issues and his trip to the Amazon. (Actors Sigourney Weaver and Joel David Moore also pop up, as do some experts, but this is really Cameron’s baby.) While the piece clearly addresses important topics, this comes across as a self-congratulatory public service announcement. “2006 Art Reel” (17:20): A combination of concept paintings and narration, this reel shows the story of the film. “Brother Termite Test” (1:57): A piece to demonstrate the viability of performance capture acting. “ILM Prototype” (1:36): Another test reel to show the execution of performance capture; this time we see actual representatives of Jake and Neytiri. “Screen Tests” (10:32): We get tryouts for Sam Worthington and Zoë Saldana. “Zoe’s Life Cast” (2:22): Saldana gets gooped up for a reproduction of herself meant for effects purposes (ie, “secret” blow-up dolls). “James Cameron Speech: Beginning of Live Action Filming” (5:26): The director rallies the troops at the start of the shoot. “ILM VFX Progression” (2:37): This depicts various visual effects at various stages of completion. “Framestore VFX Progression” (3:17): Same as “ILM”, Framestore worked mostly on breathing masks, set extensions, and vehicles. “Hybride VFX Progression” (1:53): Still more sets, virtual props, and displays. “Prime Focus VFX Progression” (2:57): Additional displays, graphics, props, composite shots, vehicles and environments. “Look Effects, Inc. VFX Progression” (0:51): Various digital fixes and displays. “Crew Film: The Volume” (31:42): In this short film, we follow the nutty exploits of motion capture actor Kevin Dorman. Expect plenty of cameos from bigger name members of the cast as well. It’s an odd piece and moderately amusing, though at more than half an hour, it tends to wear out its welcome. On Disc Three, we start with 17 Scene Deconstruction segments. These allow us to view those sequences in any of three ways: the motion capture stage, the CG template, and the final footage with picture-in-picture reference. Viewed as a whole via “Play All”, these fill a total of one hour, five minutes, 21 seconds. “Final with Picture-in-Picture” probably becomes the most satisfying angle, but all are interesting, and this becomes an interesting examination of the various components that went into the film’s creation. In the next area, we get 17 Featurettes. These include “Sculpting Avatar” (3:46), “Creating the Banshee” (9:51), “Creating the Thanator” (3:20), “The Amp Suit” (4:31), “Flying Vehicles” (5:13), “Na’vi Costumes” (4:14), “Speaking Na’vi” (6:37), “Pandora Flora” (5:40), “Stunts” (5:14), “Performance Capture” (6:32), “Virtual Camera” (3:21), “The 3D Fusion Camera” (3:43), “The Simul-Cam” (2:18), “Editing Avatar” (6:59), “Scoring Avatar” (6:06), “Sound Design” (8:50) and “The HaKa: The Spirit of New Zealand” (5:17). Across these, we hear from Jordu Schell, James Cameron, Neville Page, John Rosengrant, Yuri Bartoli, Jon Landau, Tyruben Ellingson, Deborah L. Scott, John Harding, Mayes C. Rubeo, Paul Frommer, Carla Meyer, Sigourney Weaver, Sam Worthington, Zoë Saldana, Dr. Jodie S. Holt, Garrett Warren, Allan Poppleton, Richard Baneham, Joe Letteri, Glenn Derry, Joel David Moore, CCH Pounder, Laz Alonso, Rob Powers, Rob Legato, Michelle Rodriguez, Mauro Fiore, Vince Pace, Stephen Rivkin, John Refoua, James Horner, supervising sound editor and sound designer Christopher Boyes, Weta visual effects supervisor Stephen Rosenbaum, and virtual production art director Andrew L. Jones. The programs look at maquettes, designing/executing various alien creatures/concepts and military elements, stunts, camerawork and performance capture, editing, music, audio, and a ceremony from the New Zealand stunt crew. Given all the material covered in the documentary, you’ll inevitably find some redundancy here, but not a ton. The featurettes go over a lot of the same territory but add depth to the info from the documentary, so it delivers plenty of goof material. We finish up with materials under the Avatar Archives. This areas includes two trailers - one teaser, one theatrical – plus Avatar: The Original Scriptment. It uses still frames to show Cameron’s December 1995 text. The “scriptment” acts as more than a standard story treatment; it includes a partially-fleshed out screenplay as well. That makes it better developed than the average treatment and fun to see, especially as we can easily contrast the similarities and changes between this early incarnation of the tale. Similar material appears via Avatar: Screenplay Written By James Cameron. Dated July 30, 2007, this obviously more closely reflects the final film than the scriptment, but we still find differences – especially if you’ve not watched the extended cuts of the movie. I’m happy to find it included here. For more info about the film’s fictitious world, we head to Pandorapedia. This covers 449 screens with data about Pandora, its inhabitants, and its invaders; it breaks into “The Na’vi and Hometree”, “Na’vi Music”, “Na’vi War and Hunting”, “Pandoran Fauna”, “Pandoran Flora”, “The RDA”, “Vehicles”, “Human Weapons”, “Na’vi-English Dictionary”, and “English-Na’vi Dictionary”. With all those screens at our disposal, the “Pandorapedia” is almost absurdly detailed. Happily, an index lets you just to any of the sections I listed above, so access works well. I’m not enough of an Avatar fan to want to spend a lot of time in the “Pandorapedia”, but I nonetheless think it’s a pretty cool addition to the set. Avatar Songs offers even more text, as we find the lyrics – in Na’vi and English – to four tunes. Finally, The Art of Avatar delivers a slew of additional still frame material. It splits into 15 sections: “The World of Pandora”, “The Creatures”, “Pandora Flora”, “Pandora Bioluminescence”, “The Na’vi”, “The Avatars”, “Maquettes”, “Na’vi Weapons”, “Na’vi Props”, “Na’vi Musical Instruments”, “RDA Designs”, “Flying Vehicles”, “Amp Suit”, “Human Weapons” and “Land Vehicles”. Normally I’d list how many images appear per domain, but I had to admit defeat here; the overwhelming number of stills – and my Blu-ray player’s sluggish frame advance rate – left me without the appetite to add up all of them. Suffice it to say that you’ll get a wealth of great elements in this area, as Cameron’s obsession with detail means all the concept art you could ever want to see. After 12 years away from feature films, James Cameron returned with a bang. Avatar dominated the box office for weeks and became the biggest hit since… Titanic, Cameron’s last flick. I wish I could say that Avatar was as satisfying as Cameron’s prior blockbuster, but it’s just not in the same emotional league. Both have similar plusses and minuses, but Avatar simply lacks the same heart and power. It’s an enjoyable flick with excellent visuals but not one that packs a punch. This Collector’s Edition Blu-ray brings Avatar home in a highly satisfying manner. Like the original release, it boasts superb picture and audio, but unlike its home video predecessor, the CE packs a stunning roster of supplements. With three versions of the film and loads of additional materials, this must be the Avatar for fans to own.